Want your customers to reach their full potential? 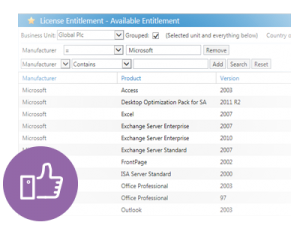 What is License Management as a Service (LMaaS)? 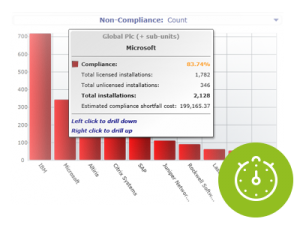 Imagine for a second: software install and usage data from multiple discovery tools, license entitlement data manually taken from a procurement system and multiple spreadsheets as a way of reconciling the two! Now, see before your eyes a single point of reference, which can not only be securely accessed from any web ready device, but also includes over a hundred of detailed reports to enable informed decisions. That’s what you have to offer your customers with a License Management cloud based service – it’s the simplest way to access and manage your customers’ software license information. Gartner now state that your organization has a 68% chance of receiving at least one audit request in the next 12 months – it really is now a case of when and not if. 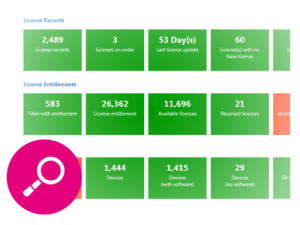 With License Management as a Service you have 24 hour access to your latest compliance status, which is backed up by over 100 online reports, meaning it only takes a matter of days to respond to a request rather than potentially weeks or months by managing it in-house. With Gartner claiming that most organizations overspend on software by as much as 30%, many are wasting millions on unnecessary software, poor re-harvesting processes and failure to leverage the right software agreement. With our service, there is little implementation and training time meaning we can all quickly get to work on understanding your compliance position and optimizing usage. Embrace our knowledge of Software License Management and Software Asset Management and engage with your customers. We support you with first class license management tools and have license consultants available to support you in delivering your customers a state of the art License Management as a Service offering. 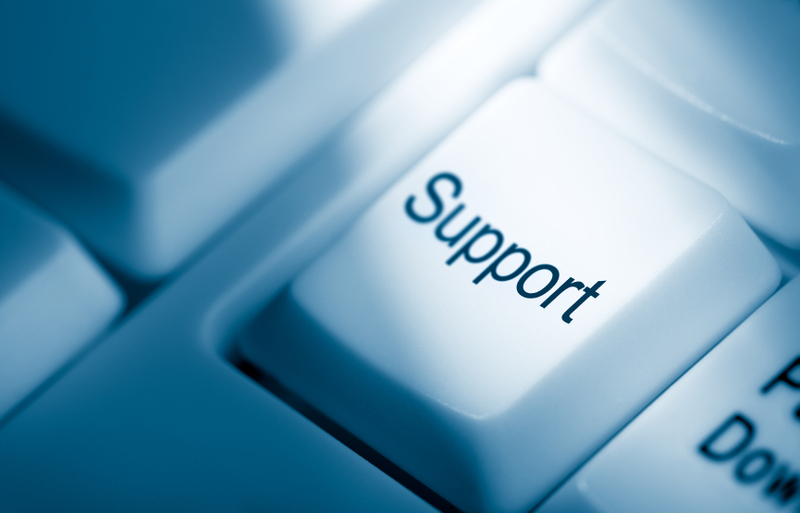 Next to that, we have a support desk you can rely on to support your license management services. Contact us to learn how you can implement and benefit with servicing customers on license administration, license management and software asset management programs!